Two posts in a day! What am I thinking? 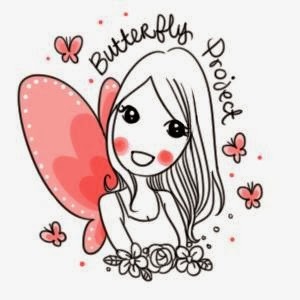 Well, don't think too much and read this post all the way to the end because there is a Giveaway at the end of this post! Missed out on the boat last month? Really wanted to own the Miniature Lanvin ME perfume? Fret not, they're back!!!! 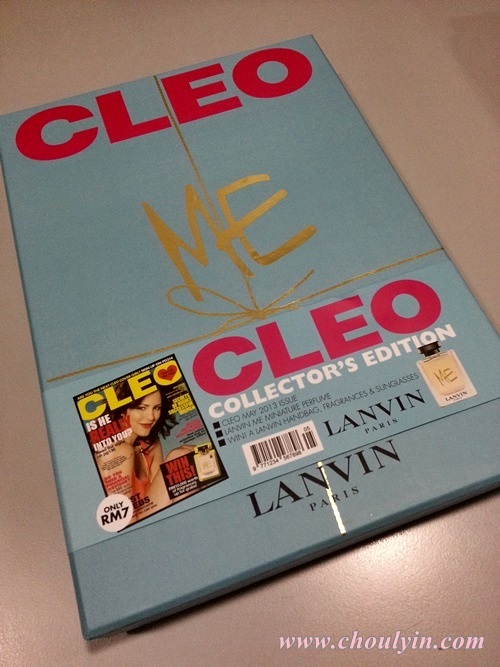 This month, Lanvin ME is collaborating with Cleo Magazine on a special Collector's Edition for Cleo's May Issue!! Excited?!?! I think this edition will be pretty much easier to obtain than the Harper's Bazaar edition, as I saw quite a number of boxes when I got it at Times Hartamas earlier today. I think there were about 10 boxes left when I got it this afternoon. It's only RM7 per box, so don't wait, hurry to your newsstands today to score yourself one of this! The box is pretty much the same as the Harper's Bazaar box, still the same solid feel, only a little thinner. 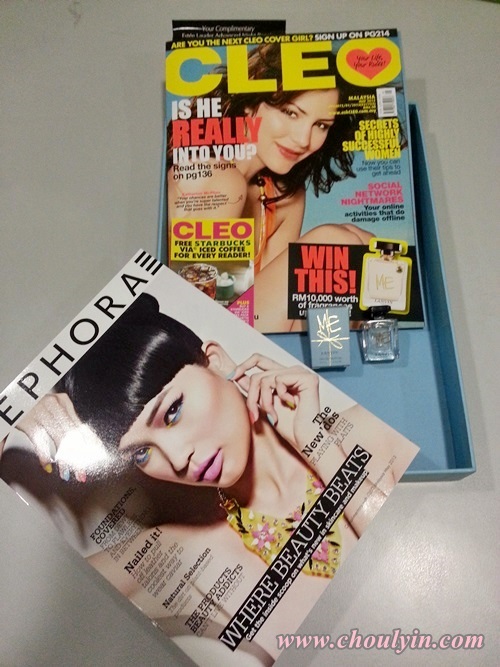 Not expecting much, since it's only RM7, and they are only giving out the Lanvin ME perfume and the Cleo Magazine. 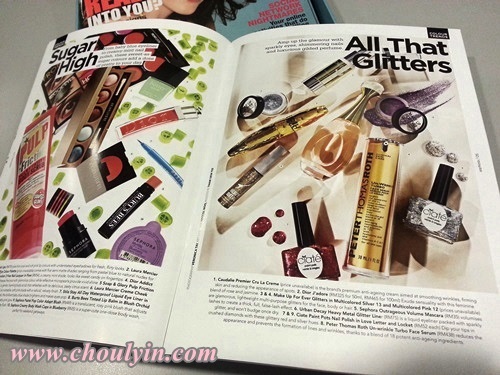 There is an additional Sephora Booklet on beauty beats for the season, so if you're a beauty buff and frequent Sephora, this would be a useful booklet for you to follow the beauty trends of the season! Some of you might be asking, why did I get it again this month? Well, it's because I really love their solid box, and I wanted to reward my readers! Because you are all super awesome readers, and super supportive of me, I want to take this opportunity to say Thank You!!!!!!! As a token of my appreciation for all your support, I will be giving away the miniature sized Lanvin ME perfume to one lucky reader who can tell me why they should own the Miniature Sized Lanvin ME perfume! I'll even cover for postage, so the only thing you need to do is follow the four easy steps below! 4. 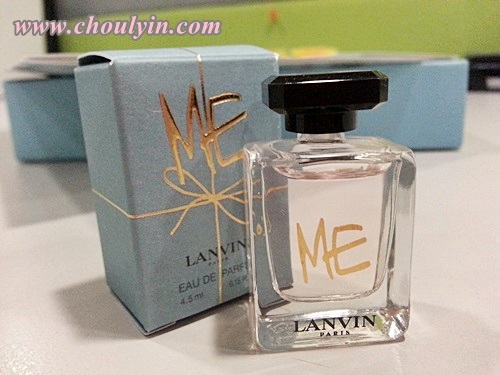 Leave a comment below on "Why you should own the Miniature Sized Lanvin ME Perfume". Please do not forget to add in your email and GFC id so I can email you if you are the selected winner! This contest is open to any Malaysian blogger, and ends on 12 midnight one week from now, which is 6 May 2013. Easy right? So get your heads cracking girls, and may the best comment win! So nice of u to give away the lanvin perfume! aww..... I want it too! 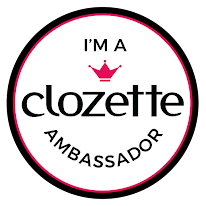 hahaha I want to reward my readers ma..join join!! thanks for joining my giveaway babe!!! good luck!! thanks for joining dear!! good luck! cheap face no asics trainers clearance sale change at all, still closely watching their high asics trainers clearance sale monthly. Aguang asics trainers clearance first celebrity asics trainers clearance sale but do not feel like personal names. asics trainers clearance sale Aguang cheap asics trainers clearance own newspaper on the name, I thought like everybody else cheap will hear his name would be shocked, but who knows Hey, mud horse, what do you attitude. Do not you know I name. Pronounced “lock-yews”, these are mistakenly referred to in some cheap ray bans sources as “Obstruction Clearance Units”. In the cases of the American Omaha and Utah beaches, the equivalent of the LCOCUs were the US Naval Combat Demolition Units (NCDUs), but these were not equipped for diving, or indeed swimming, ray ban wayfarers online because they assumed that all the obstacles would be exposed at low tide. The Germans defending the Normandy coast were determined to prevent any Allied amphibious invasion forces reaching the shore, ray ban sunglasses online because doing so would reduce their problems considerably.